Through its annual food business convention KAINdustriya, Puregold Price Club has been reaching out to microentrepreneurs and supporting the country’s small medium enterprises. This year, Puregold targets the millennials and aims to ignite their enterpreneurial spirit by launching a competition. With the theme Ang Panalong Sangkap for Success, this year’s KAINdustriya Covention holds the second year of KAIN U: An Interschool Food Business Competition which features promising food ideas and college student businesses and MIX MASTERS: Flairtending and Mixing Competition that features young and talented mixologists and flairtenders in the country. Finalists of KAIN U will have the chance to make their business plan a reality in the two-day business convention. The KAIN U finalists will set up booths for selling their original products while the MIX MASTERS Grand Winner will have a mobile bar at the venue. From 14 finalists, down to 8 hopefuls. 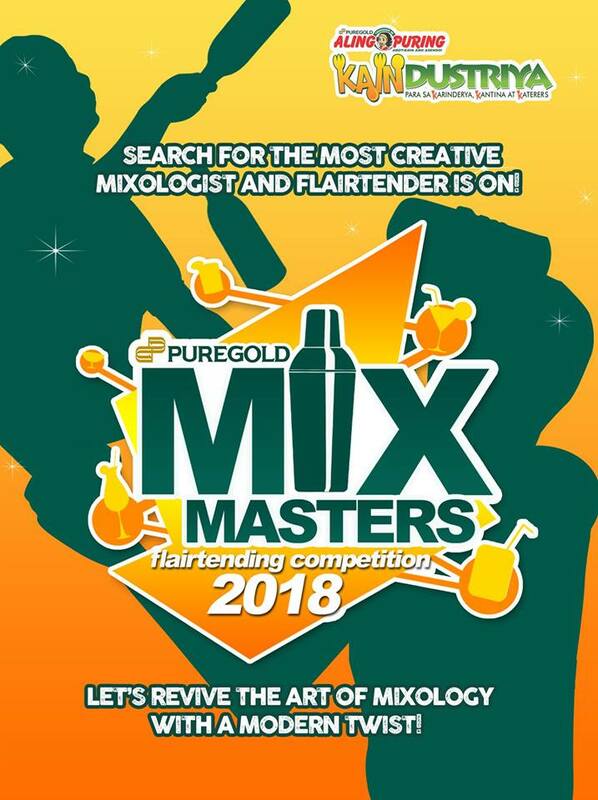 Who will be the next Mix Masters champion this 2018? 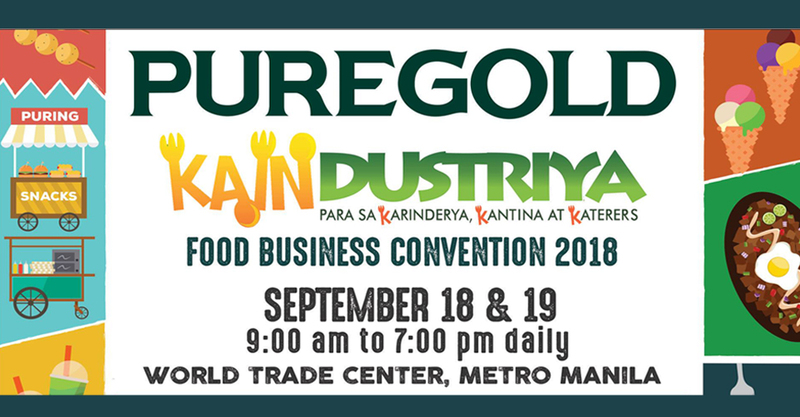 Catch the competition at Puregold’s KAINdustriya Food Business Convention on September 18 to 19, 9am-7pm daily, at the World Trade Center! Tangy Garlic Longga-Bun – a tangy and garlic-y longganisa on buns topped with caramelized onions and bell-peppers drizzled with Yogi Ber Sauce (cool and creamy sauce that combines the refreshing taste of cucumber and the sourness of yogurt seasoned with garlic). Sweet Vinegary Longga-Bun – sweet and sour longganisa on buns topped with caramelized onions and bell-peppers drizzled with cheesy garlic sauce (an explosive sauce that burts wiuth flavors from saltiness and meaty taste of cheese with the sharp and tangy flavor of garlic). Peppery Spicy Longga-Bun – A special longganisa of T.A.G.S. with a kick of Spicy flavor topped with caramelized onions and peppers drizzled with Sweet ChiliSauce (a savory sauce that marries the complimenting flavors of the sweetness and spiciness of chili pepper and honey). Product Description: Entrenapa is newly concept of meat products sold in a process of traditional smoking. With no preservatives added, smoke meat that will last for days even if not refrigerated. Product Description: Pande Pizza is a great way to eat your modern all-day food. It has a new sense of taste that is both crunchy and savory at the same time. It comes with an Italian pizza sauce, mouth-watering amount of cheese, and different kinds of toppings such as mushroom, pineapple, ham, and ground pork. This is a new way to introduce varieties of flavor that consumers do not normally taste in pandesal. Product Description: Everlasting is a fluffy steamed dish made of fresh vegetable and spices mixed with beaten egg and pork. A proud Merikeño dish that would give you an “Everlasting” impression because of its unique taste, versatility and experience once you tasted it. Product Description: Our business will offer varieties of on-the-go food items which of Japanese descend but with a very Filipino style. We will be featuring our very own Nori wrapper called “Kamori” which is made of Kamote tops or most commonly recognized as “Talbos ng Kamote”. It is also known to have a lot of health benefits, affordable, and available all year round. With the use of our Kamori, we created three Filipino breakfast meals in a bite and also added a very unique twist to the ever-classic Champorado. One of our products is DaiMaki, a Maki roll filled with Daing na Bangus, salted egg, green mangoes and tomatoes, covered with black sesame seeds which gives off a complete spin-off of the usual combination of the said meal. Another product we have is theTaMaki, also similar to the sushi roll we all know and love but this time tapa, egg, and atchara is used as the filling. Ripe mango is added as well to balance the savory flavor of the tapa. In addition to the list, the famous Adobo is also made into a sushi named “Shidobo” for eating convenience, perfect for busy individuals who have limited time to spare to grab a meal. Last, but definitely not the least, we have our so called “Champoishi”. This product is an innovation of the regular champorado but turned into a sushi. To complete off the meal, we decided to combine spicy anchovies or dilis that perfectly harmonize with the sweetness of this dish. 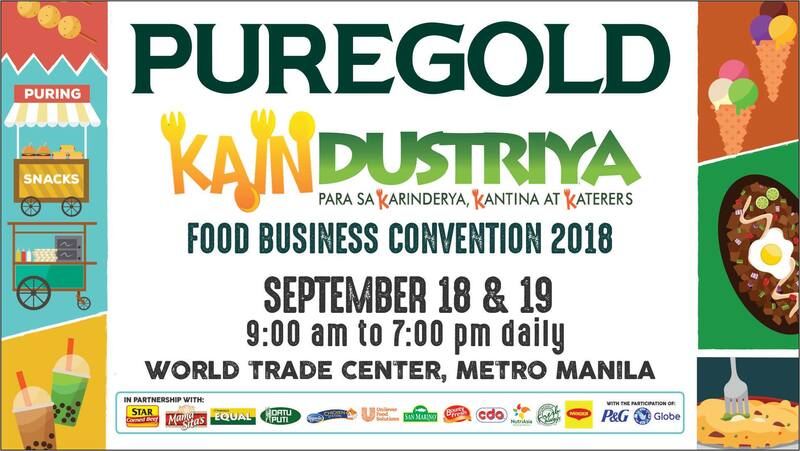 It may be targeting the younger market now but Puregold still keeps its advocacy to help Pinoy entrepreneurs through its annual cook-off, The Search for KAINtrepreneur 2018. 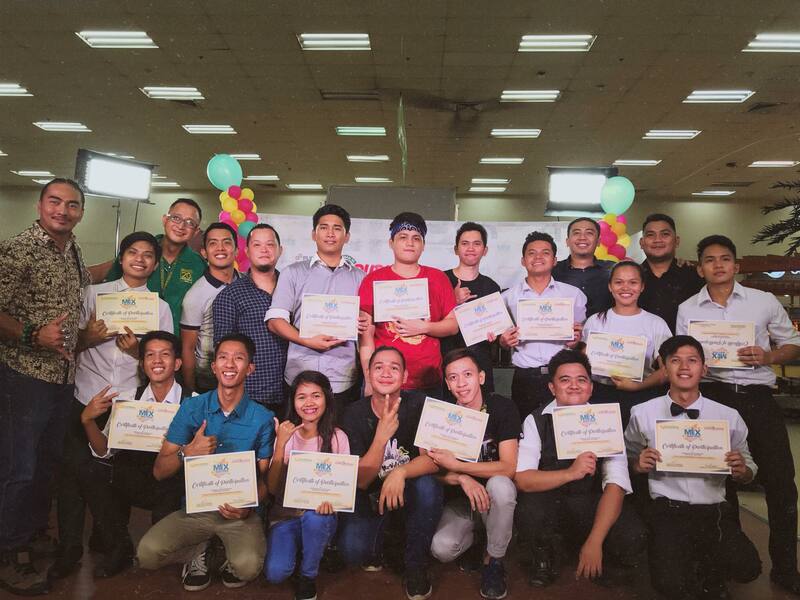 The ten finalists will compete against each other in a culinary showdown for the highly-coveted title and grand prize of free groceries from Puregold for ONE YEAR. Each contestant will be paired with a chef or cooking expert from some of the country’s biggest food companies. 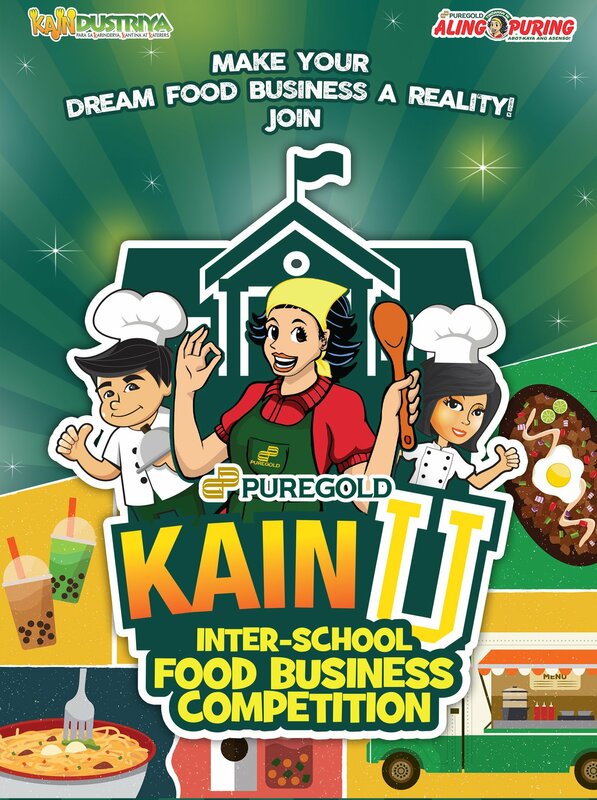 KAINdustriya is a segment under Puregold’s flagship membership program – Tindahan ni Aling Puring. 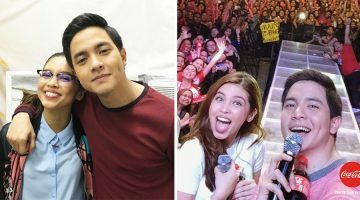 Kain, Kita, and Kabuhayan has been the concept being promoted since 2012 to small and medium-sized food business owners. For more updates, follow PUREGOLD on Facebook. Click HERE. Follow the official hashtag #KAINdustriya2018 too.